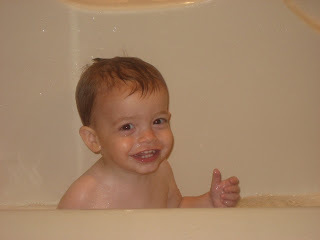 I'm telling you, this child just cannot get enough of bathtime. If you ask him if he wants to take a bath, he'll march right into the bathroom and start pointing at the tub and try to climb in! It's pretty funny! In the first one it looks like he's giving a thumbs up! Thumbs up dude! 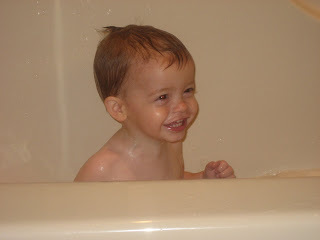 Isn't bath time sooooo much fun?? ?